The Caudalie Makeup Removing Cleansing Oil is amazing. 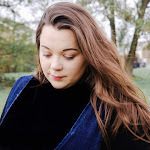 I could just leave it there, but that wouldn't make me much of a blogger now would it, so I want to tell you why it is amazing. I received my bottle in May's Birchbox and I have spend the past month falling more and more in love with it. Caudalie is a French brand that uses no parabans, Phenoxyethanol or sulphates and is not only cruelty free but it doesn’t use any animal derived raw materials. Big thumbs up from me! But I seriously loves this little wonder bottle. Micellar waters seemed to becoming quite popular in the beauty world with lots of brands bringing out their own product to take on the trend Micellar waters are.free from oils, alcohols and fragrances, the products work without the use of water by containing micelle cleansing molecules that pull oil and dirt away from the face. As far as makeup removers go, the Garnier Skin Active Micellar Cleansing Water is my favourite. The product did a wonderful job of removing makeup from my face, without leaving my skin irritated or overly dry. In fact, it left my skin looking clean and refreshed. However, as much as I love my Micellar water I can't help but feel as if it's drying my skin out, I also love to layer my lashes and Micellar waters are not quite cutting it when removing my makeup. 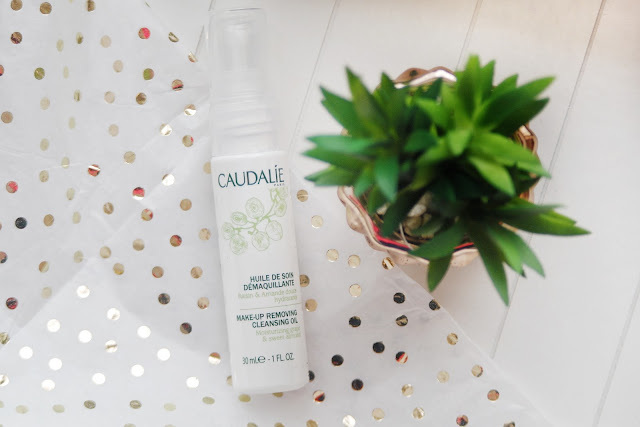 So you could say that this Caudalie Makeup Removing Cleansing Oil came at the right time. I have been using it daily. It’s a lightweight oil that emulsifies when you add a little water – standard procedure for most cleansing oils. It removes make-up effectively, although I need two cleanses to completely remove heavy eye make-up. Then again, I find this to be the case with all cleansers and I double cleanse anyway. But I am finding this one is perfect for getting rid of stubborn mascara and eyeliner without pulling on the skin too much. Using 3 pumps of the oil and rubbing it gently into my skin, the cleansing oil easily breaks down makeup, even the most stubborn eyeliner. Once you have broken down all the makeup, apply some water to wash the product off. At this point I tend to remove the final bits of oil with a flannel to make sure the skin is completely clean. I also find using a fresh flannel each time helps with your complexion too, I have one for each day! I have been using this all over my face as part of my cleansing routine. Something that has had a real shake up to battle my dry patches, breakouts and dark circles. I can honestly say that it has made removing all of my makeup so much easier. I don’t tend to layer that much makeup on my face as I prefer a natural base, but I do go in hard on the eyes. There will be eyeshadows, liner, highlighter, blush and then layer upon layer of mascara, so a cleanser has a lot of work to do. Wearing makeup, and just life in general, can result in clogged pores and your complexion looking dull and this cleansing oil tackles that with ease. It dissolves the debris that clogs the pores, reduces excess oil in the skin, tackles micro-pollution particles and leaves you with a bright and calm complexion. Your makeup is instantly dissolved and you don’t have to spend 15 minutes scrubbing away at your eyes. If however you have oily skin, I wouldn’t say this is the best product for you. Caudalie suggest that this cleanser is more suited to dry, sensitive or combination skin. If your skin is really dry, you need to replace the lost skin lipids with an oil-based product to help repair the integrity of the skin; the drier the skin, the richer the product you should use. So for me, this one is perfect. I am already a huge fan of Caudalie and I intend to add more of their products into my life, that's for sure. So this is a welcome addition to my stash, I must say I am completed converted to an oil based cleanser. Have you tried Caudalie Makeup Removing Cleansing Oil? If so, what did you think? I am also looking for some other recommendations from the Caudalie range, so hit me up with your favourites. 14 comments on "Caudalie Makeup Removing Cleansing Oil"
This is so much easier! It's feel good to get it off with this cleanser! You should, it's a keeper. I have super oily skin so this wouldn’t work great for me! Sounds like you’ve found a fab product though! It's not like a more oil, I will follow with a normal facial wash. So you should try it. I really love Caudalie, it's such an amazing brand! I need to try this oil! Oh you should, yep it's a brand that I am in love with. Sounds like I might have to get my hands on this for removing my eye make up! My skin if often oily though so I'll have to avoid my oily patches! It's so much quicker than Micellar.